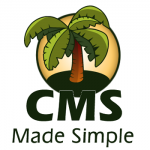 CMS Made Simple, an open source content management system, allows for faster and easier management of website content. This CMS is scalable for small businesses to large corporations. Our tutorial videos on how to use it should be more than enough to get you started and up and running with a website. If there is ever anything in your web hosting that you are not sure about, please ask us before trying it out. The basics of CMS Made Simple. How to add new content to CMS Made Simple. How to add new articles to CMS Made Simple. How to add a page editor in CMS Made Simple. How to add a usergroup in CMS Made Simple. How to change the default language in CMS Made Simple. How to edit content in CMS Made Simple. How to assign a default homepage in CMS Made Simple. How to upload an image via file manager in CMS Made Simple. Assigning templates to all pages in CMS Made simple. CMS Made Simple – Beyond the basics.